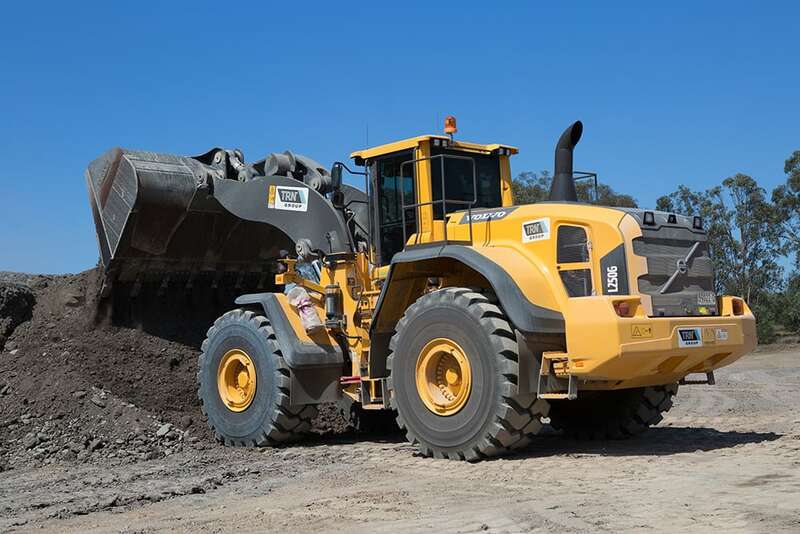 TRN Group - "The Volvo uses less than half the fuel of the Komatsu, has more power and is all over the better machine"
Located in the plush surrounds of Spring Farm in the Macarthur region south of Sydney, NSW is the head office of the TRN Group. This iconic Sydney civil works company was established in 1966 by three brothers; Terry, Ron and Neil Fordham who modestly started with two trucks. This longstanding partnership has orchestrated an instrumental influence on the evolution of Sydney and more specifically the local area over the past 50 years. We met with Operations Manager David Fordham who is the son of Terry Fordham. Terry, the eldest of the three is the brother who still remains working in the group as Neil recently retired and sadly Ron has passed away. As the business continued to develop so did the founder’s families and over time their children became involved. Ron has three sons who currently work in the business, Glenn is a civil engineer, Trent is the workshop manager in charge of the trucks and Nathan is also in the workshop in charge of purchasing. 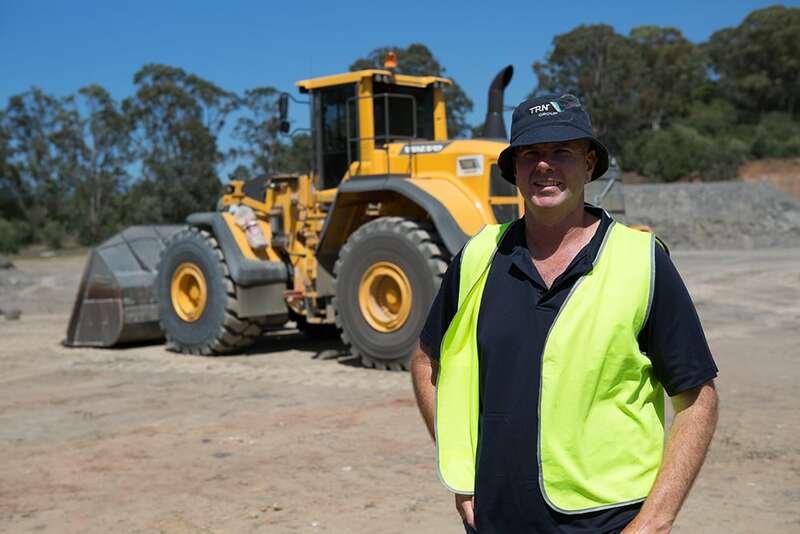 Neil has two boys in the business; Malcolm is a grader driver and Richard who is the workshop manager for the earthmoving machinery. Fundamentally this is a family business that has been a large part of David’s and his cousin’s lives since they were young. There have been no free rides however with everyone required to earn their place. David after leaving school studied to become a boilermaker by trade. At the age of twenty-one once qualified he joined the family company which was already significantly established however nowhere near the size it represents today. David started out as a boilermaker working in the workshop where he stayed for four years. From there he worked hard gaining an understanding of all the roles until at the age of 30 he took on the Operations Manager position where he has remained solidly for the last 14 years. 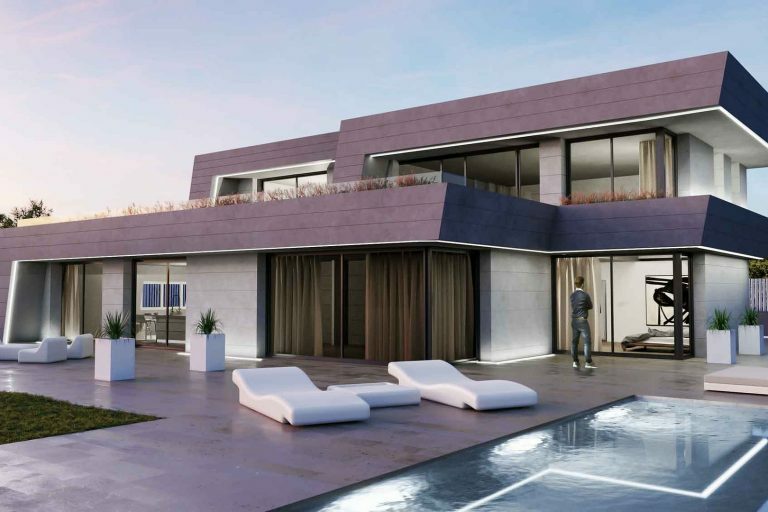 Over the last 10 years the development in the local area has exploded and subsequently, the TRN Group have maintained the pace. When David commenced his role devising allocations and organising machines they had approximately one hundred personnel experiencing steady growth year on year. The last five years, in particular, the business has significantly taken off to where they are positioned today with three hundred and sixty full-time staff on the payroll. In addition, there are at least another one hundred subcontractors working for them across 40 major job sites. Regardless of the size of your business if you are serious about the job and want to build a strong reputation you really can’t afford to skimp with your work tools. It is critical to success to ensure all of the work will be delivered quickly and at an exceptionally high level. Owning the best machines available on the market is the safest way to guarantee you can maintain a high standard. All of your operators are going to be drastically more productive on a machine that they enjoy being behind the controls of as opposed to something they are fighting all day. With that in mind, their current fleet is extensive counting three hundred and fifty major machines including bulldozers, scrapers, excavators and rollers. They have forty-two trucks including three low loaders to move all of the equipment, numerous smaller plant such as rollers and skid steers along with nearly every attachment available with an untold number of buckets and parts. With such a large number of machines in the business, the fleet comprises of many different brands from various manufacturers however there are always constant standouts. In the early days, it was predominantly Caterpillar machines and Volvo backhoes. Seven years ago David was lucky enough to be given the opportunity to visit the Volvo factory in Sweden and was extremely impressed with the facility. 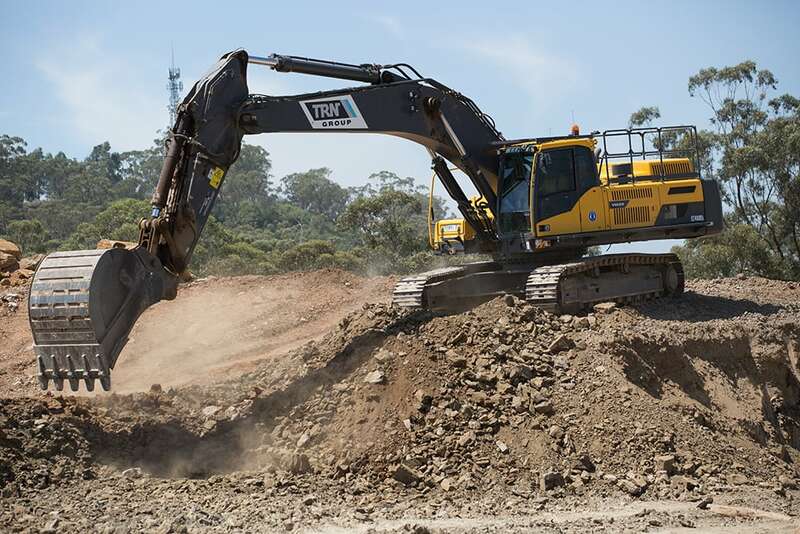 Shortly after they purchased their first excavator and following that machine the TRN fleet has benefited from using Volvo excavators almost exclusively. From time to time there may be another manufacturer supplier and excavator however that would be due to Volvo not having something within the range required or sold out stock on the day. With such a large fleet, the importance of a strong backup service from the dealership is crucial. CJD is faultless and has supplied them with all of their Volvos. CJD’s Smeaton Grange office is local and has been an integral part of the area for many years. It is a sizeable branch with plenty of stock readily available. Their rep ‘Young Matt’ is fantastic and isn’t your typical salesman. If you need something he is always there, all over it and nothing is ever a problem. 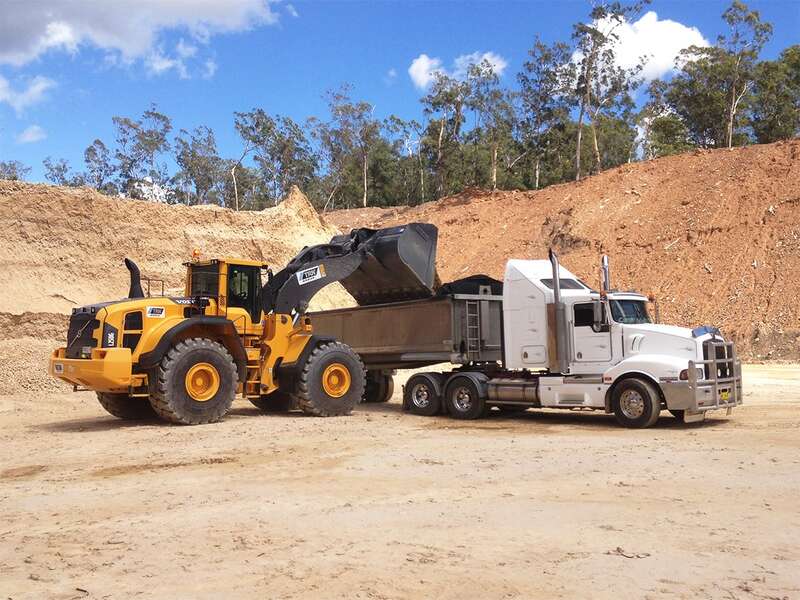 Recently they purchased two brand new Volvo L250G wheel loaders. They have incredible power, fantastic on fuel and like all Volvos are proving to be extremely reliable. The Volvo replaced a Komatsu WA500 and there is no comparison between the Volvo and Komatsu. The Volvo uses less than half the fuel, has more power and is all over the better machine. David didn’t expect the outstanding results and kept checking the figures. 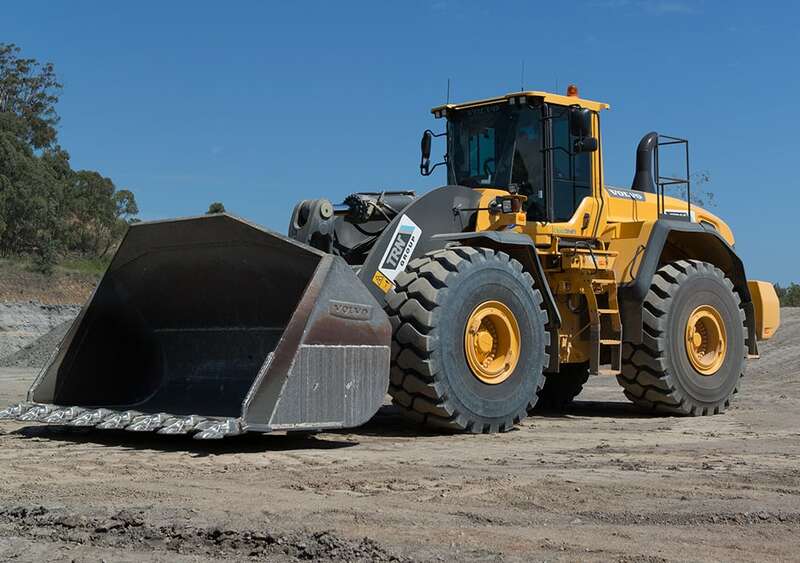 Tracking back over comparable days where machines were moving an average of three thousand tonne the Volvo would consistently use half the fuel of the Komatsu. The machine itself is significantly more powerful and is picking up about fifteen tonne a bucket where the Komatsu was only picking up around twelve tonne so having a bigger machine that uses far less fuel makes it an absolute no-brainer. The operator relishes working on the Volvo and the in-house maintenance team find it an absolute dream to service. Prior to using CJD almost exclusively, they did use to use Caterpillar machines purchased from Westrac for a lot of the same reasons. They also are great machines and provide a reliable service. David doesn’t just have Volvo tunnel vision, whenever they are buying new machinery they will research all of the major manufacturers. Recently they purchased two new Caterpillar excavators, as the current Volvo range doesn’t offer an excavator with a knuckle boom. Looking out at the machines on the site they all look like they are brand-new and this is something that David is very proud of. Their workshop is committed to maintaining the highest standard and because of this, they are qualified for an easy check system exempting them from sending their vehicles to the RMS as they are authorised to complete the registrations themselves. As a safeguard, they have the fleet audited by an external company once a year just in case they have missed anything. The company is very proud of their workshop and that its excellence is trusted by the RMS. Leading the way through all areas technology now plays an important part within the business. David has developed an online system that allows the foreman to book all of their required plant and gear in ‘real time.’ David is then able to sort which machines and operators are allocated to the various job sites. A list is then printed at the end of each day and is given to the operators accompanied by a text message. Everyone then knows where they are travelling and which job they will be working on. This system ensures there is never a job being held up through lack of machinery or equipment being double booked. The program has been constantly evolving and worked on for the last six years. It has proven to be a very valuable tool to successfully manage the hundreds of items of plant. Having this custom-built software is essentially a similar concept to the old whiteboard on the wall with greater accessibility. The capability allows them to access operator views, personal use, labour expenditure, machine views, job progress, gear requests and anything you can think of easily accessed by the click of a finger. The system puts every single member of staff on the same page and everybody knows what is going on so there are no excuses why things haven’t happened. David was the driver of developing the system and whilst he understands other earthmoving businesses are apprehensive to adopt technology it has proven vital to the success of their business. Currently, the property boom is full steam ahead. The TRN Group is busier than ever with over 40 job sites across Sydney. They also travel, having completed jobs in Port Macquarie in northern New South Wales and at Eden on the New South Wales South Coast. The work comes from various sources including tenders and recommendations from previous clientele. With a plethora of work in the backyard, they tend not to be travelling too far. The majority of the recent work has been through consultants that they have been dealing with who work for the developers and TRN is put forward as a recommendation. Glenn Fordham and his team of engineers are responsible for project management and the tendering process. Similar to the Sydney property market David doesn’t expect their business to be slowing down in any way looking to the future. There is a vast amount of roll-on work and if a client is happy then they tend to assign you to the next stage of the development which means that you don’t always have to go to tender. In the past, they have done work on their own subdivisions. David, his sister and his father still live on the blocks from one of their own developments. Later in the year, they are hoping to develop a sizable block they own in Silverdale. The operations and the industry on a whole have certainly changed since the beginning of David’s career. When he was thirteen he remembers visiting the workshop on weekends to help grease trucks, change tires and drive the machines. There is no way that you could do that these days. There is more activity, increased traffic around the workshop and significantly more people around. In a way, it is unfortunate however safety is paramount. At times some of the truck drivers may take one of the kids for a drive, ensuring they don’t leave the vehicle and stick to all of the rules. This is still very much a family company and they like to accommodate that family feel whenever they can. For people looking to get into the earthmoving industry, David recommends buying the best machinery and equipment possible. If you can’t buy brand-new shop wisely and there are some fantastic low hour machines that come up for sale from time to time. David still buys the odd good low hour machine such as dozers and scrapers but all of the excavators they only buy brand-new. Looking to the future David personally can’t see himself slowing down and hopes to be flying the flag for the TRN Group for many decades to come. David hopes that the next generation is interested in joining and continuing growing the business. David laughs and says that outside of work he spends most of his time thinking about work. On the rare occasion, he enjoys fishing. Looking up on the wall in his office is an impressive picture of David and a giant Kingfish. David enters into fishing competitions and his son likes to come out on the boat with him too. By no means, however, does he profess to be professional and says they are more danglers rather than anglers but will always give it a fair crack. If there ever was a more humble, generous and down to earth family in the earthmoving industry then we would really like to meet them. Just as they have very much shaped the region that they work and live in, the Fordham’s are shaping the future of hundreds of earthmovers every day by leading an exemplary example of how to operate a highly respected and productive organisation. We couldn’t be more thankful for the time that David gave us and we’re particularly thankful to the brothers Terry, Ron and Neil. 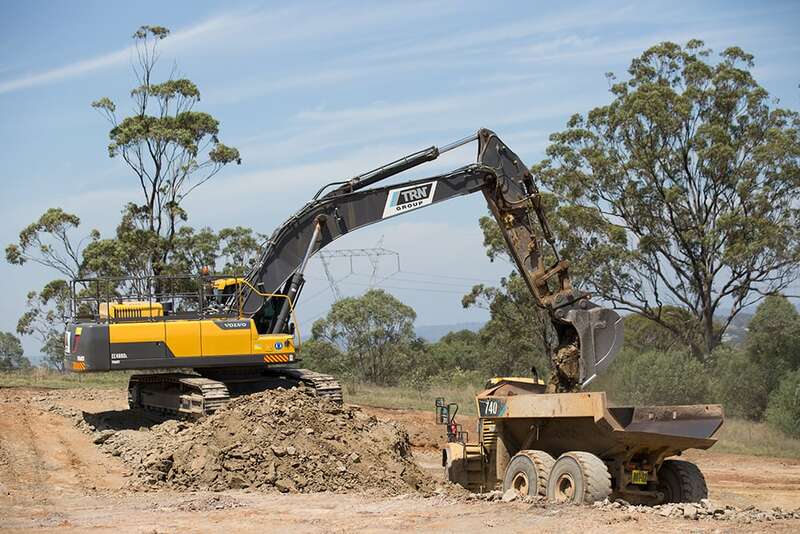 Their union all those years ago formed this great company who has made a longstanding and instrumental contribution to the earthmoving industry.